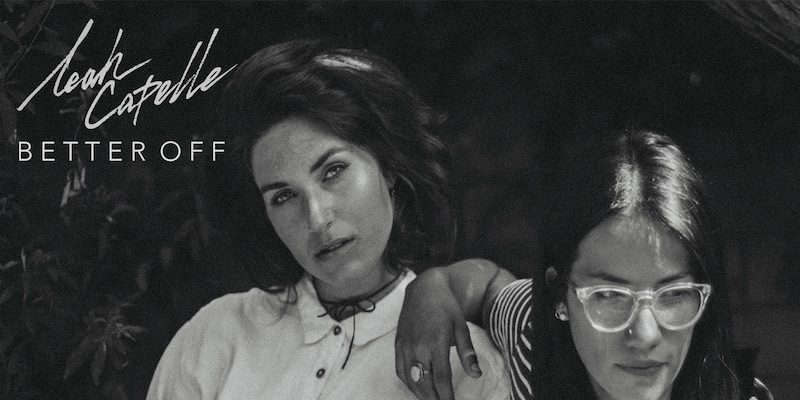 It’s a pleasure to hear something brand new from singer and songwriter Leah Capelle after reviewing the gorgeous Joshua back in May. Better Off is a song that lays bare the raw emotion and the depth to which relationships can affect us throughout our lives. The music is kept fairly minimal, an acoustic guitar and simply the arrangement of two stunning vocal performances alongside of it. Despite this simplicity, the final few moments of the song feel intense and much bigger than they ought to. The power and passion with which both singers express the height of the song’s sentiment perfectly represents the peak of overcoming difficulty – that point at which you have to let go, and the release it often brings to do so. The accompanying video for the song feeds further into the simplicity, showcasing once again that raw passion and realness, highlighting the fact that the song came from a place of genuine experience and difficulty. Sometimes a good song is all that’s needed; nothing fancy or over the top to enhance or support the key ideas – just the song itself, and a performance that means something. Structurally the songwriter has done exactly as is necessary in order to draw you in and keep your attention throughout. The opening few moments are gentle, subtle, introducing the story line with delicacy and plenty of space. Then as things progress, the soundscape explodes, not through additional instrumentation, just through genuine passion and unwavering vocal ability. It’s effective exactly as it is, and it’s very clear that a live performance from both involved would be almost identical to this, if not loaded with even more passion – adding further to that lost in the moment effect. Find & follow Leah Capelle on Facebook, Twitter & Instagram. Visit her Website for more information.